In the two months we’ve been in Peru I’ve definitely adopted the local passion for pisco - the traditional Peruvian brandy. But you don’t have to travel to the Land of the Inca to enjoy the country’s signature drink. 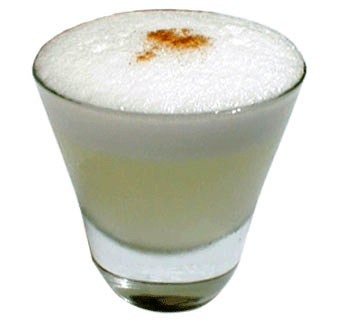 Here’s Peruvian chef Nacho Selis’ (Hotel Sol y Luna) recipe for a traditional Pisco Sour. Beat the egg white and sugar in a blender. Add pisco, lime juice and cracked ice. Shake well, then pour into a chilled cocktail glass and add bitters*. CUSCO TRAVEL TIP: The Lobby Bar at the Hotel Montasterio offers short pisco seminars each evening where you can learn about the pisco-making process, various types of grapes and different varieties before indulging.